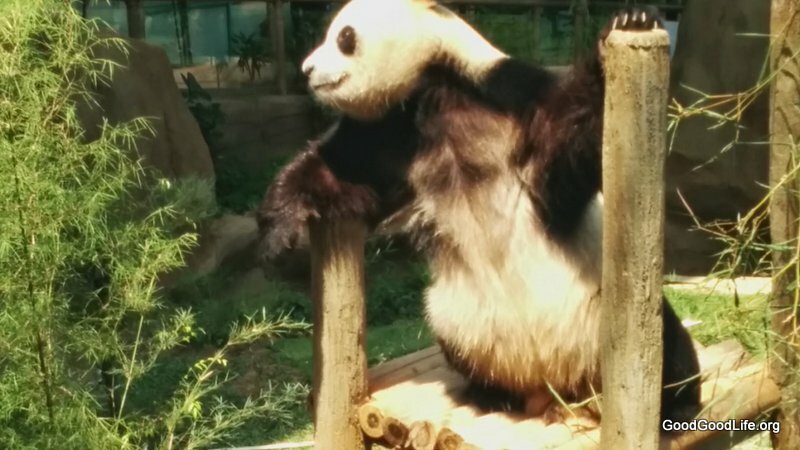 KUALA LUMPUR, June 27 — It will cost RM50 to view the giant pandas when the Giant Panda Conservation Centre (GPCC) opens to the public tomorrow. The fee, for visitors aged above 12, includes the National Zoo admission ticket for RM30 and an additional RM20 to enter the panda centre. Children under 12, however, can gain free admission from tomorrow until July 27. Foreign nationals will be charged RM50 (adults), RM25 (children aged three to 12) and RM40 (senior citizens aged 65 and above) in addition to entrance fees to the National Zoo. There is no additional charge for the disabled. The zoo’s vice-president Rosly @ Rahmat Ahmat Lana said that after July 27, the fees for Malaysians would be RM10 for children aged three to 12 and RM15 for senior citizens aged 65 and above. “Some might say the fees are a bit too expensive but it is appropriate with the kind of attention we are giving to the pandas,” he said told reporters yesterday at the GPCC. Xing Xing Climbing Down after being fed. GPCC will open daily from 9am to 5pm and entry is on a first-come-first-served basis as the complex can only accommodate up to 3,500 visitors a day. “We only allow up to 150 visitors per session, which lasts 20 minutes. If there is a need to extend operating hours, we can allow up to 4,000 visitors a day,” he said. Rosly said there was a possibility the zoo would request an extension for the care of the pandas after the 10-year loan period, but this depended on how well the pandas fared under its care. He said if a panda cub was born during the period, the zoo would care for the cub for two years before handing it over to the Chinese government. Zoology, Hospital and Veterinarian Services and GPCC director Dr Mat Naim Ramli said apart from keeping the pandas healthy, they were also monitoring the possibility of them mating. Xing Xing Finally taking a rest! 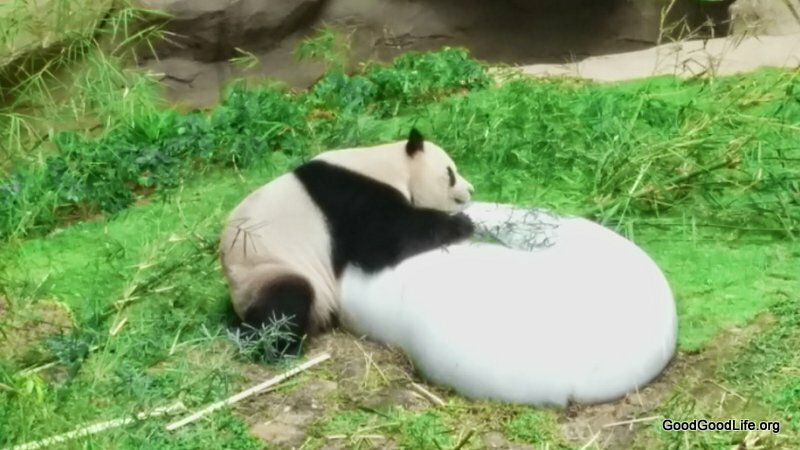 “We are monitoring for any changes in their behaviour and diet for signs they want to mate, especially Feng Yi, the female panda, on her hormonal changes,” he said. The pair of giant pandas are on loan through the Malaysia-China Giant Panda International Conservation Agreement programme. Fu Wa and Feng Yi arrived in Malaysia on May 21 in conjunction with the 40th anniversary of diplomatic relations between Malaysia and China. Prime Minister Datuk Seri Najib Razak announced on Wednesday their new names — Xing Xing and Liang Liang — which were chosen from the results of a national competition organised in 2012. 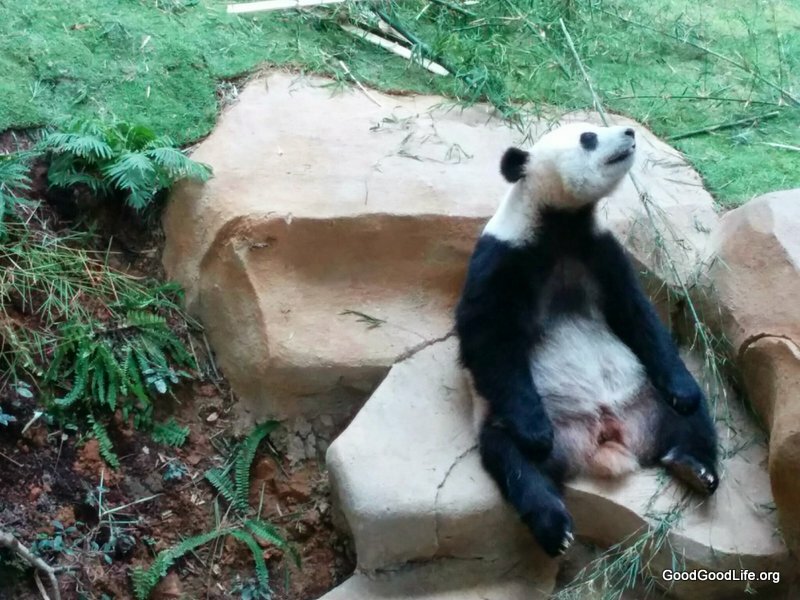 This entry was posted in News and tagged admission, fee, feng yi, fu wa, giant panda, liang liang, malaysia, panda, price, ticket, xing xing, zoo negara by TheGoodGoodGuy. Bookmark the permalink.